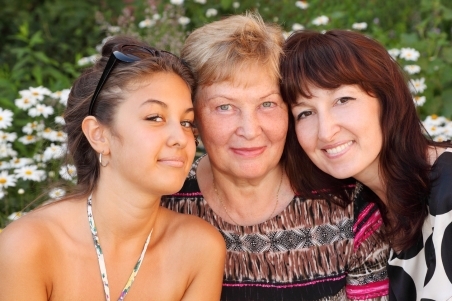 About 5% of breast cancer and 15% of one kind of ovarian cancer is inherited, meaning it's passed down in families. People who get inherited cancer (also called familial cancer) have an error, or mutation, in their genes. Women who have a mutation are more likely to get breast or ovarian cancer. Men with a mutation are more likely to get prostate cancer (mainly in their 40s and 50s) and breast cancer. The most common genes to have a mutation are called BRCA1 and BRCA2 (pronounced "bracka" one and two). BRCA1 and BRCA2 are genes that help to repair your DNA. If your BRCA genes have a mutation, then you don't repair damaged DNA properly, which increases your risk of getting breast and ovarian cancer. Should I get tested for faulty genes? It's actually quite rare to have a BRCA gene mutation. Only about one in every 800 people has a mutation, so not everyone should be tested for this. However, there are thousands of possible mutations, so it's best to start testing with a family member who has or has had breast or ovarian cancer. If tests find they have a specific gene mutation, then other family members can be tested to see if they have the same one. It is also more common if you have Ashkenazi Jewish ancestors. If any of these apply to you, speak to your GP. They can refer you to the Genetic Health Service at your local hospital to see if you should be tested for a BRCA gene mutation. If I have faulty genes will I definitely get cancer? No, not everyone with a BRCA gene mutation will get cancer, but your chances of getting breast and ovarian cancer are much higher than people who don’t have the mutation. If you or your partner have a BRCA mutation, your children (sons and daughters) each have a 50% chance of also having the same mutation. If you have a BRCA gene mutation there are ways to reduce your chances of getting breast or ovarian cancer. These include getting risk-reducing surgery, regular mammograms, and regular examinations by a breast surgeon. There is no way to screen for ovarian cancer, so it's recommended that women who have finished their families and are aged around 40 have their ovaries and fallopian tubes removed. This removes the risk of getting ovarian cancer, but means that you will start menopause younger than most women. Your doctor will refer you to a gynae-oncologist for this. As with all cancers, stopping smoking, having a healthy diet and lifestyle, and not being overweight may also reduce your risk. If you have any more questions about BRCA testing, talk to your GP. Written by HealthInfo clinical advisers. Endorsed by senior genetic associate, Genetic Health Services New Zealand. November. Page created November 2017.